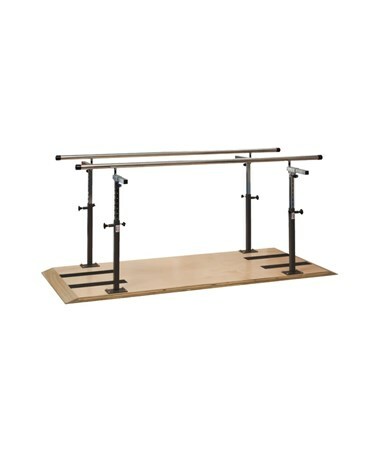 Load Capacity of 400 lbs, width of 18"-28" and height of 26"-39"
The Clinton Industries Platform Mounted Parallel Bars are medical devices designed for daily physical therapy that features heavy-duty materials that accommodate multiple individuals and exercise plans. Robust and Reliable. Featuring adjustable handrails with one piece, 1 1/2" stainless steel and end bumpers, the Platform Mounted Parallel Bars are firmly fixed on a 1 1/2" thick, hardwood, ultra-durable, UV cured and satin finish plywood and safety treads on both ends. The powder-coated uprights are constructed with an ultra-heavy, square, chrome-plated, telescoping, all-steel tubing. Because of this, it has a 400 lbs load capacity under normal physical therapy use. Versatile. 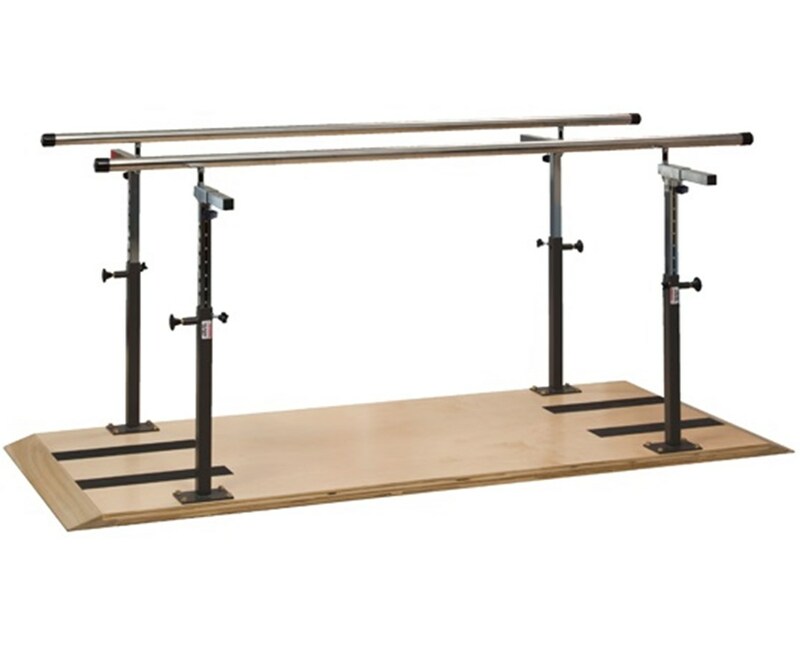 The Parallel Bars have width adjustable handrails and height adjustable uprights that can easily be changed with spring-loaded plungers and numbered height indicator strips. Width Range of 18" - 28"